Rubbermaid TakeAlongs 10-Day Meal Prep Kit Deal!! 30 Pieces!! Home online deals Rubbermaid TakeAlongs 10-Day Meal Prep Kit, 30-Piece Set – Lowest Ever! Wanting to meal prep this year?! 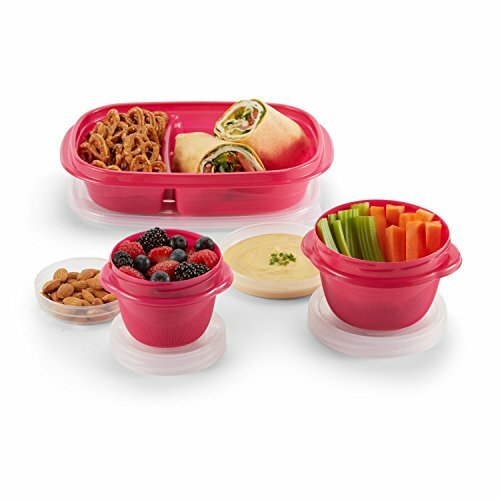 Hurry and get the Rubbermaid TakeAlongs 10-Day Meal Prep Kit, 30-Piece Set, Beet Red today for only $13.28 from Amazon! That’s the lowest price ever! Amazon Prime members get FREE 2-day shipping!! If you are not a Prime member, get FREE shipping when you purchase $25 or more of eligible items across any product category. Details on the Rubbermaid TakeAlongs listed below! Store, organize, and pack over a week’s worth of meals and snacks with this 30-Piece Rubbermaid TakeAlongs 10-Day Meal Prep Kit. Designed with divided sections, these colorful containers let you pack different types of food together, from sandwiches and hummus to yogurt and granola, making them the ultimate companion for lunch, snacks, and more on the go. Buy the Rubbermaid TakeAlongs 10-Day Meal Prep Kit, 30-Piece Set on Amazon! Previous article2 Women’s Beauty Sample Boxes for FREE after Amazon Credit! Next articleFREE RedBox Blu-Ray, Video Game, or DVD Rental Code!